Engage imaginations and build non-fiction reading skills with Investigate: a series of high-interest, visually stunning photographic books based around exciting science themes. Smoothing the transition from guided reading to confident solo reading, this book-banded series is organised into strands of six books, each consisting of an overview book plus five companion titles. Combining easy-read text with dramatic visuals and attention-grabbing facts, Investigate makes an ideal introduction to non-fiction for readers who are growing in confidence. It also builds familiarity with the conventions of non-fiction texts using contents pages, a glossary and index, captions, fact boxes, photographs, maps and diagrams. 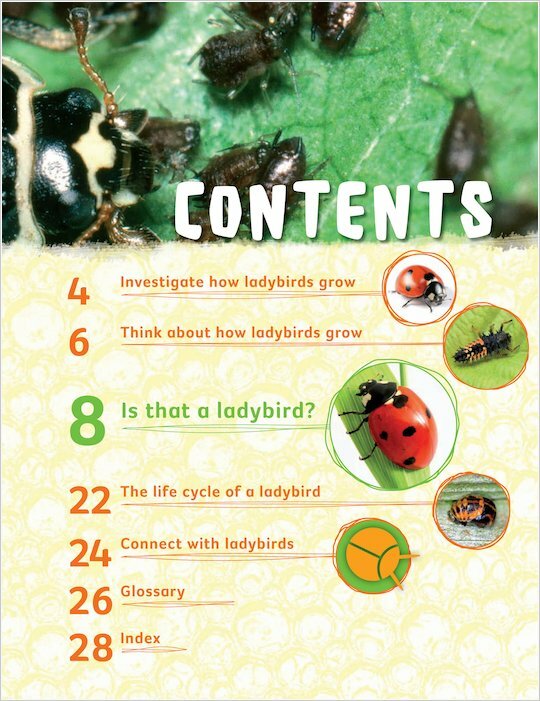 This book from the ‘Life Cycles’ strand explores one fascinating aspect of the theme, and is perfect for guided reading or child-led extended study. The series is a great introduction to guided reading. Packed with luscious photographs, children will be fascinated to find out more about these beautifully illustrated animals. The series has a simple structure. Each strand has an overview book, with accompanying CD ROM, which teachers can use for guided reading. The overview books in each strand contain the key vocabulary and concepts for the whole strand. Once children are secure with the concepts, they can go on to use the remaining five books as independent readers. CD ROMs follow the structure of the overview books, but are packed with extra features – games, animal videos and audio to get less confident readers started. Choose the relevant strand for your class. Download the teachers’ notes for that strand, and pick the relevant notes for the book you have chosen. Use the CD-ROM for whole-class work, with children taking charge of the navigation. Support this work with the relevant overview book to get children interested in the concepts of LIfe cycles, Animal defences or Predators. The rest of the readers are all at the same level, so children can choose which books they are most interested in. Do they want to know more about Penguins, Octopus, Elephants, Deer or Otters? The CD ROM is NOT an ebook. It is much more than this. 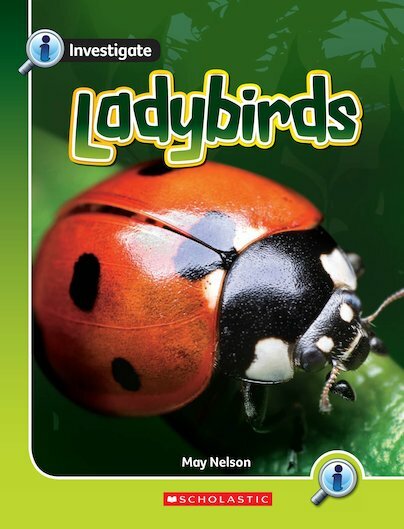 It is engaging and interactive and enables children to drill down even further, to learn about animals that haven’t been mentioned in the books, to test their understanding of the concepts, by playing matching games, or checking out information in a table. The CD brings the animals to life. Lions roar, and chase their supper. Birds swoop onto the interactive whiteboard. The activities provided on the CD-ROM are ideal for teaching literacy skills regularly and systematically. Above all, it is a fun way to learn. LEGO® Non Fiction: Bug Off!